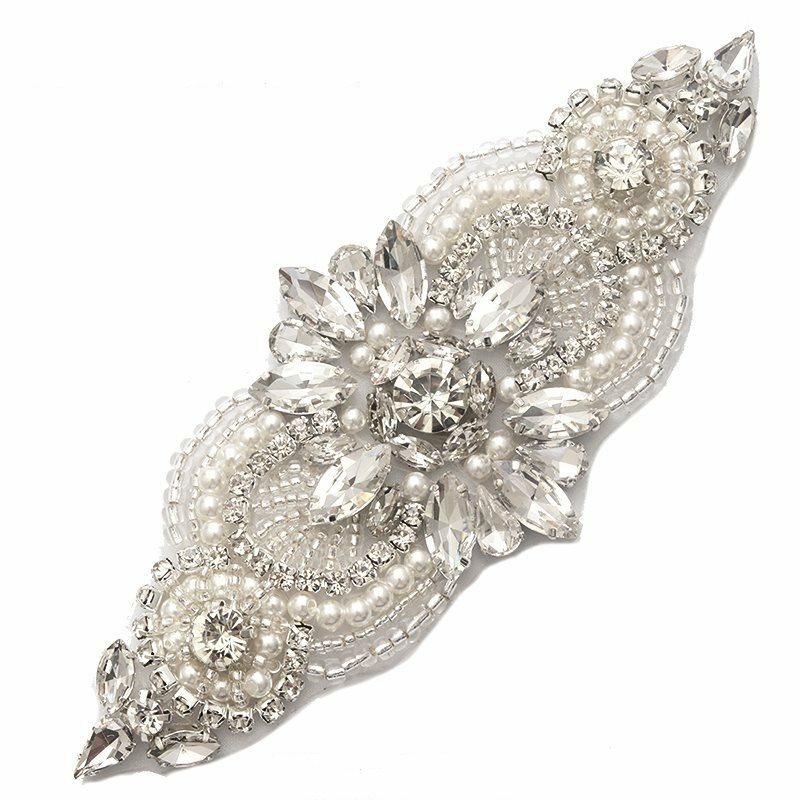 Crystal Applique made with Rhinestone and Silver Beads with Pearls. It is a beautiful, with larger marquise rhinestones. 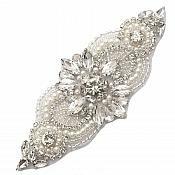 There is a lot of detail in the beading on this applique and the pearls are a great accent.